Home to over 80,000 full time students across three leading universities, Glasgow is widely acknowledged as being one of the UK's most popular destinations for students in higher education. With free tuitional fees in Scotland proving a major attraction, student places and student investment property in Glasgow is at a premium. Glasgow, often mistaken as the Scottish capital, is the largest and most populous city in Scotland. Built upon the banks of the River Clyde, Glasgow achieved fame and growth during its time as an expansive seaport and a hub of the engineering world during the 1800s. The Industrial Revolution transformed Glasgow into one of the world's most prestigious shipbuilding cities, responsible for the production of the infamous Empire transport ships of WWII. Along with many British industrial centres, Glasgow suffered a decline in fortunes in the early mid 1900s and was forced to re-invent itself as a business power. The 1980s saw it gain success in finance, and tourism soon followed to the re-developing city. Glasgow now sits in the top ten of Europe's financial centres and is in the top 60 "most liveable" cities in the world. Famous Glaswegians include entrepreneur Duncan Bannatyne, British ex-Prime Minister Sir Henry Campbell-Bannerman and famous football manager Sir Alex Ferguson. Glasgow is currently home to almost 600,000 people, making it the largest city in Scotland and the third largest in the United Kingdom. The wider urban area peaks at around 1,750,000 and the metro area is closer to 3,000,000. The demographic of Glasgow is mainly Scottish people born in the area, but also boasts a strong ethnic diversity in more than 30,000 Pakistanis and 15,000 Indians; whilst Lithuanian and Italian refugees also have a strong presence. 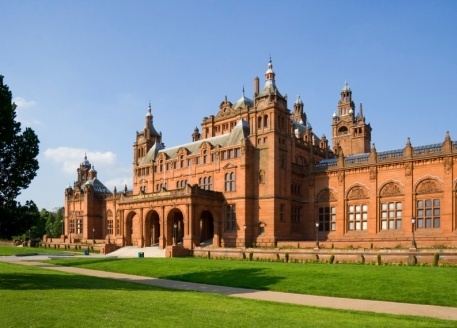 Glasgow is home to three major universities, which means that the student population of the city is approximately 80,000; making the area very popular for student property investment in Glasgow. Since Glasgow's manufacturing and shipbuilding industries fell into decline, the city has become a diverse entity known for a number of characteristics. Financial and economic power draws businesses in to the city, whilst tourism and retail keeps a fresh turnover of visitors each year. Sport is a strong cultural aspect of the city, with the first ever international football match held in Glasgow. Rugby, hockey and basketball are all also popular activities for leisure and profession. Designated European City of Culture in 1990, Glasgow is also famous for its diverse range of attractions from museums to opera, ballet to theatres. With a high level of student turnover each year, student accommodation investment in Glasgow represents an attractive investment opportunitiy with the potential to return up to 10% guaranteed over two years. The University of Glasgow is one of the oldest universities in the world. The second oldest in Scotland and the fourth oldest in both the United Kingdom and the entire English speaking world, the University of Glasgow can trace its history back to 1451 AD. Playing a large role in the Scottish Enlightenment and the Industrial Revolution, the University of Glasgow was founded through a charter from Pope Nicholas V after the persuasion of King James II. Throughout its hundreds of years of history, the University of Glasgow has played host to some of the greatest minds of modern time including Nobel Prize winner Sir William Ramsay, chairman of HSBC Douglas Flint and infamous explorer of Africa David Livingstone. The University of Glasgow is spread around the city on a number of campuses. Hillhead plays host to the Gilmorehill campus, being the main and largest of the university’s bases. Designed by George Gilbert Scott, Gilmorehill is a cosmopolitan campus found just 2 miles to the west of the city centre. Other activities are based in the city centre, at Garscube, in Dumfries and at the Gartnavel Royal Hospital. 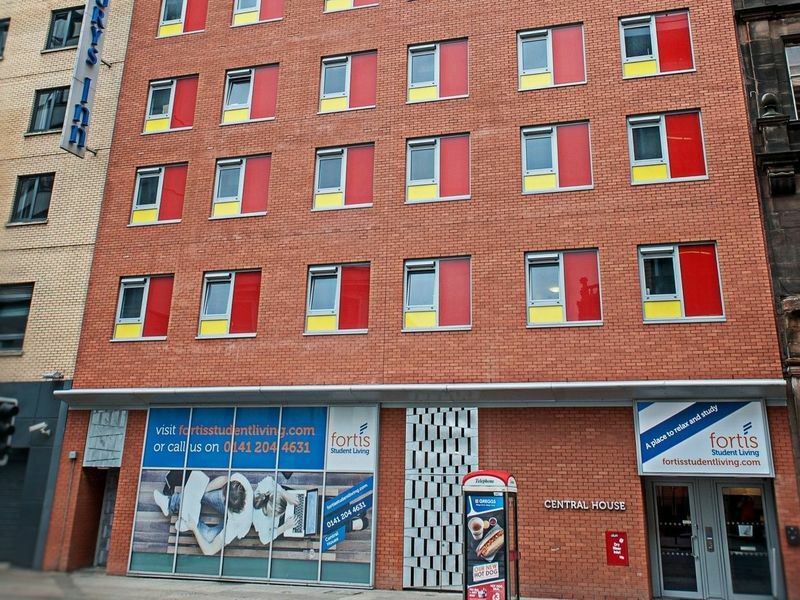 The main campuses are all within easy reach of the city centre, being largely connected by the M8 motorway network and benefitting from Glasgow’s excellent bus and rail links. For those arriving internationally, Glasgow Airport is just outside the city less than 10 miles from the campus. The University of Glasgow is made up of almost 17,000 undergraduates and 6,500 postgraduates; contributing to a bustling student population of almost 24,000. Within this student base, the gender split leans slightly towards a female majority and is made up of a healthy proportion of overseas students attracted by the University’s historical success and prestige. With students spread around the city and suburbs, Glasgow is an excellent opportunity for student room investment. 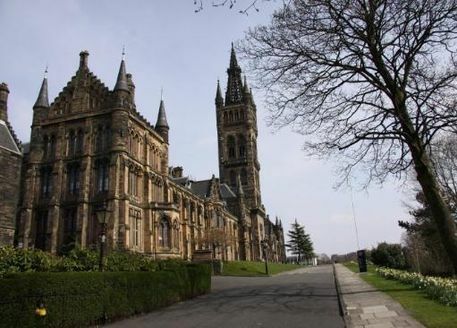 For a University originally catering mainly to wealthy and middle-class students, the University of Glasgow is currently praised for its 85% majority of state school students. 9 out of 10 students will complete their degrees and 7 out of 10 will graduate with ‘Good Honours’ (2:1 or First). The University of Glasgow has a long and illustrious history for excelling in most of the courses it offers. Throughout the past six centuries, a number of significant medical advances have been made at the university, bringing its medical courses into popularity and success. The University of Glasgow ranks in the top ten for a number of other subjects including Veterinary Medicine, Sports Science, Geology, Education, Computer Science and Accounting. The University of Strathclyde is an old and well respected university in Glasgow, Scotland; considered to be the ‘second’ university of the city behind the University of Glasgow. Tracing its history back to 1796 as the Andersonian Institute, the university came into being through the generous will of benefactor Professor John Anderson; with the university being subsequently renamed Anderson’s University. 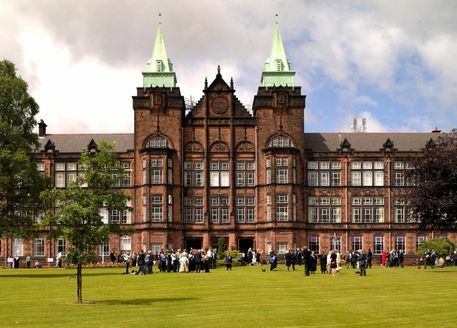 Throughout its history, the university changed its name a number of times again until it was awarded a royal charter in 1965 and became the University of Strathclyde. Notable alumni of the University include inventor of the television John Logie Baird, Frankenstein inspiration researcher Andrew Ure and wind power pioneer James Blyth. The University of Strathclyde is now solely based at the central John Anderson Campus. Beginning in 1993, the university had occupied Jordanhill College but since 2012, the entire activity of the university has been based at the self-contained John Anderson Campus. 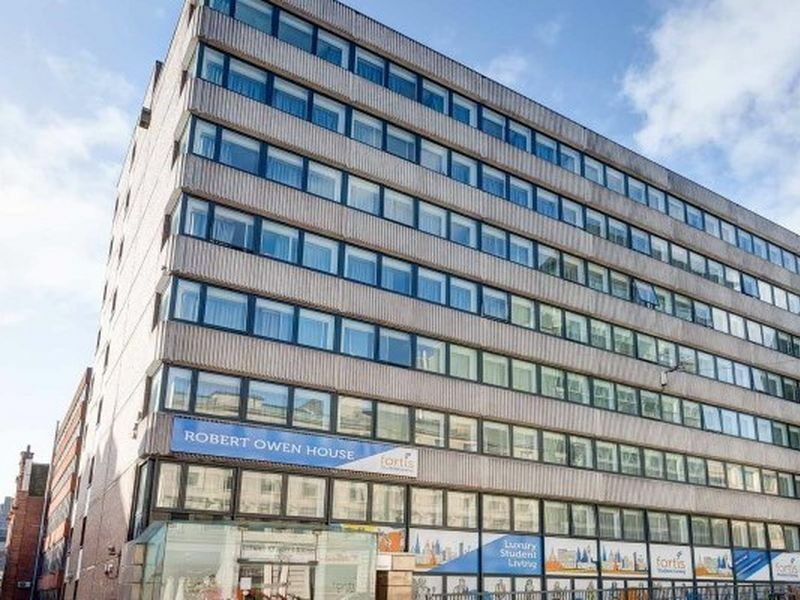 Based around the focal Royal College Building, John Anderson Campus is located in the heart of Glasgow and is very near to the M8 motorway network and both the High Street and Queen Street railway stations. Within walking distance are the wide public bus routes which navigate the A8 and the rest of Glasgow, whilst the nearest airport is just a 15 minute drive away. The University of Strathclyde is made up of 16,000 undergraduates and 10,000 postgraduates, making its 26,000-strong population one of the largest in Scotland. The vast majority of the students come from the west of Scotland, but still more than 120 countries are represented throughout the population. The gender split is almost equal and an impressive 92% of students claim state school backgrounds, something which the university has been commended on in providing education for all types of candidate. 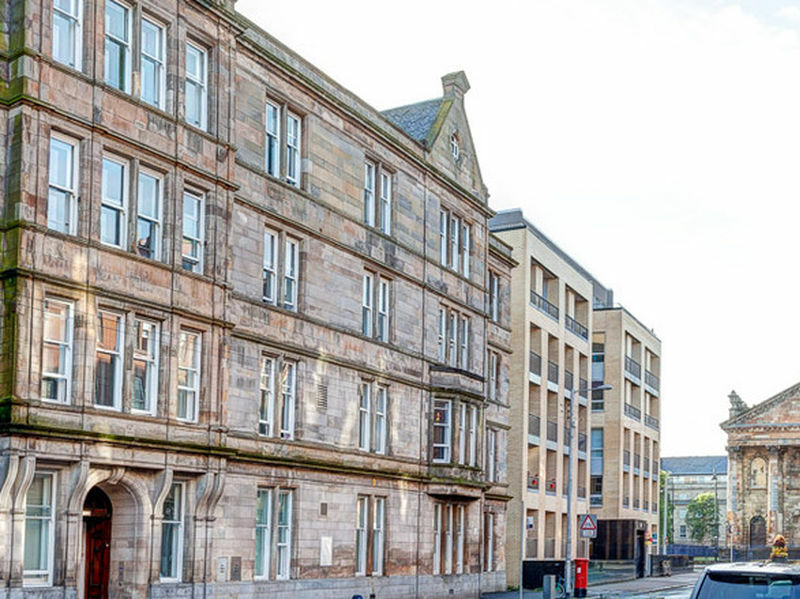 Despite having plentiful accommodation at the John Anderson Campus, student property investment is a thriving business in Glasgow due to the popularity of the universities. The University of Strathclyde is famous for operating innovation cycles throughout its entire curriculum to keep all courses fresh and insightful. All of the university’s courses are designed to produce intelligent, confident and highly employable graduates. Some of its best strengths lie in Accounting, Finance, Aural Sciences, Oral Sciences, Law and Marketing. The University of Strathclyde enjoys top ten rankings in Mechanical Engineering, Medical Technology and Pharmacology & Pharmacy. The university has collaborations with workplaces and universities in more than 50 countries worldwide.